DAVID LE/Staff photo. 2/11/15. 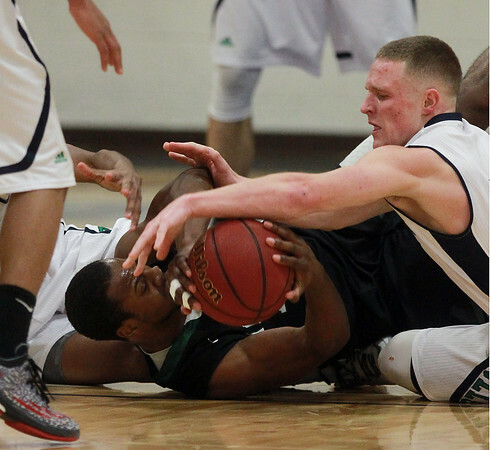 Endicott College sophomore guard Max Motroni, right, dives on the floor to force a jump ball with Nichols senior Irving Eggleston, left, on Wednesday evening.